Need Eye Care & Eye Doctors Near You, in Battle Creek? Our eye care professionals at Battle Creek Eye Clinic specialize in understanding how the human eye really works, as well as diseases and conditions that affect your vision - many of which do not have obvious symptoms. Eye doctors know how age and risk factors affect vision over time for young and old, and they understand the benefits and features of corrective lenses including eyeglasses and contacts. Dr. Lynn DiMartino and Dr. Molly Redmond take the time to explain the results of your eye exam, describe your options and listen to your eye care needs. Because maintaining good eye health is an ongoing partnership, we encourage you to ask questions and share your health information, which could be vital to monitoring, diagnosing and treating potential vision problems. So if you're looking for the best eye care and eye doctor near you, in Battle Creek, look no further than Battle Creek Eye Clinic! 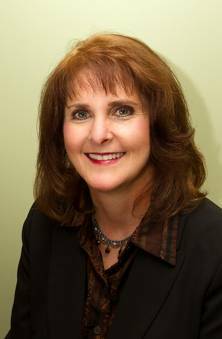 Dr. Lynn DiMartino is a friendly, family-oriented eye doctor with three decades of experience in eye care! Dr. DiMartino holds a B.Sc. in Chemistry, with a minor in mathematics, from Central Michigan University, and a B.Sc. in Vision Science and Doctor of Optometry from Michigan College of Optometry, where she graduated with honors. She is a member of the American Optometric Association, the Michigan Optometric Association and the Battle Creek Chamber of Commerce, focusing on Primary vision care, contact lens eye care, problem-focused eye examinations, pediatric eye care, glaucoma care, computer vision eye care and pre- and post-operative care. She is also the proud recipient of both the Irving Borish Award and Dennis Kennedy Award for Excellence in Eye Care. Dr. DiMartino grew up in beautiful Boyne City, Michigan located on Lake Charlevoix. Her husband, Scott, is an Optometrist as well, and they have two sons. In her free time, Dr. DiMartino enjoys spending time with family and friends, gardening, traveling, biking, swimming and reading, as well as spending time in Boyne City, enjoying Lake Charlevoix and spending time with the “family treasure”- her 98 year old Dad who lives in Boyne City. She is also a Member of St. Mary Catholic Church in Marshall, Michigan and St. Matthew Church in Boyne City, Michigan. 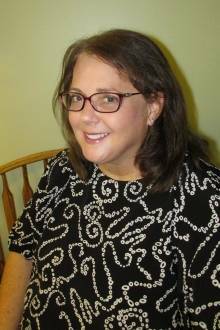 Dr. Molly Redmond is a graduate of Michigan State University, completing a Bachelors of Science degree in Biological Science. She graduated with honors from the Illinois College of Optometry, then completed a one-year residency program in Ocular Disease at the Huntington VA Medical Center in Huntington, West Virginia. She is a member of both the American and Michigan Optometric Associations. Originally from Parchment, Michigan, she now resides in Kalamazoo with her six-year-old son Jacob. She has traveled to Costa Rica, Haiti, and Honduras on eye care mission trips, and looks forward to more in the future. She currently spends most of her free time playing with Legos, playing baseball in the backyard, and learning more about Star Wars than she ever wanted to know.